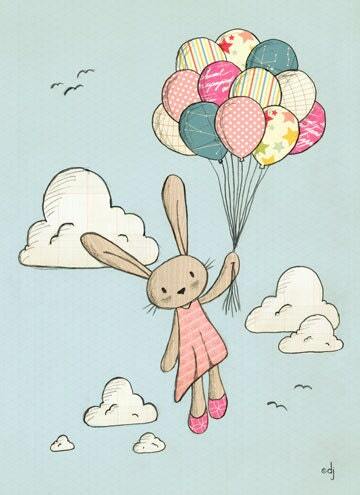 While at the circus this little rabbit bought some balloons and slowly started to fly away. On a new adventure she waits to see where her balloons will take her. Printed with archival quality pigment inks, acid free, matte paper. Image size varies depending on which size you choose. Will fit nicely into a frame as is or with a mat.